The Aquilini Group is proud to present Vancouver’s new esports team: the Vancouver Titans of the Overwatch League. The team’s visual identity takes on a local feel, highlighting colours, geographical elements, and folklore associated with the West Coast. The team’s roster, management, and branding were officially unveiled today at Rogers Arena before thousands of fans watching the National Hockey League game between the Vancouver Canucks and the Dallas Stars. The Titans’ new brand can be seen on Twitter @VancouverTitans and on Instagram @VancouverTitans. Vancouver will compete for the Overwatch League championship when the 2019 season starts on February 14, 2019. The Vancouver Titans colours will be blue (primary), green (secondary), and white (accents) to represent Vancouver’s greenery surrounded by the Pacific Ocean. The colour shades signify a vibrant, contemporary take on the Vancouver Canucks’ palette, but still allow the Titans to develop their own West Coast style. 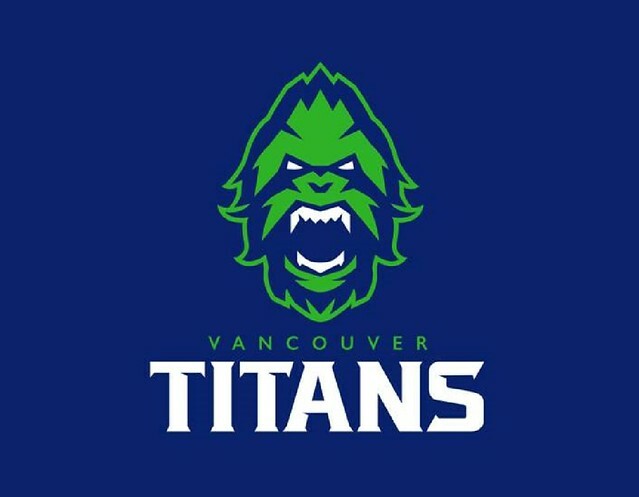 The Titans logo features a sasquatch, a folklore figure synonymous with the Pacific Northwest, with the monogram of a ‘V’ in the nose for Vancouver, and a mountain range on the top of its head. The team name of the Titans is indicative of the traits associated with the Sasquatch–a powerful, imposing, and mythical being. The Aquilini Group has partnered with leading Canadian esports organization Luminosity Gaming and its CEO Steve Maida. The two organizations are working closely to help craft and implement all aspects of the Titans’ strategy surrounding player acquisition and development, key staffing, day-to-day operations, marketing, and more. As part of today’s launch, the Titans also announced the team’s roster which will include the former members of RunAway, one of the most popular Overwatch teams in the world. Most recently, RunAway won Season 2 of Overwatch Contenders 2018 Season 2: Korea and defeated the Overwatch South Korean World Cup team in an exhibition match, making them one of the most sought-after teams during the offseason. Created by Blizzard Entertainment, the Overwatch League is the first major global professional esports league with city-based teams across Asia, Europe, and North America. Built from the ground up for online competition, the league first started with 12 teams in 2017. With the addition of eight new franchises this season, including Vancouver representing the Pacific Northwest, Overwatch continues to bring engaging gameplay and spectator experiences to individuals around the world. The 2019 season kicks off on February 14, 2019 at Blizzard Arena Los Angeles. This year will showcase an expanded field of 20 city-based teams.